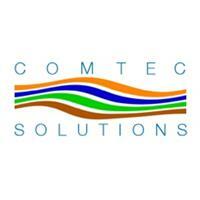 Comtec Solutions Ltd - Alarms/Security, Electrician, TV Aerials/Satellite Services based in Edenbridge, Kent. Established for over 10 years, we are a small family run business you can trust. Registered with the NICEIC and we have £2 million public liability insurance. All aspects of electrical work undertaken - no job is too small! For a fast, free, no obligation quotation contact us. We accept Debit Cards and Mastercard/Visa for payment. 50 mile radius of Edenbridge, Kent.